Address: 601554 Vladimirskaya obl., Gus-Khrustalny r-n, pos. 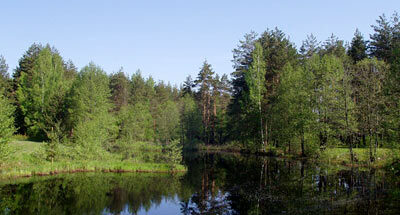 Urshel, Matrosova st.,12"a"
National Park Meschera, in Gusevsky District of Vladimir Region was established in 1992. Its area 118,7 thousand ha. 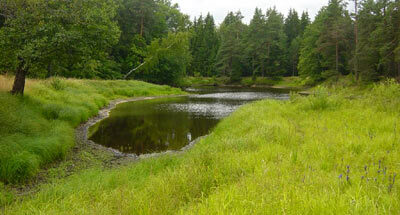 It comprises the Buzha River basin, Pra River tributary, in the central Meshcherskaya Lowland. On the south, the Park borders on Meschersky National Park to form a single protected area for the conservation of Buzha, lakes Klepikovskie, and Pra wetland system. The plant cover is sub-taiga coniferous-broad-leaved forests and intrazonal Pine forests. 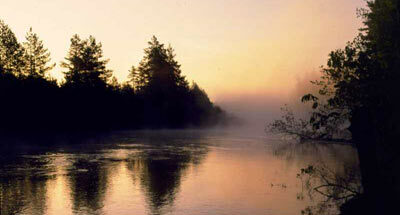 In the valleys and sources of small plain rivers, floodplain forest-meadow-wetland plants grow. There are oligotrophic moors. The flora and fauna feature characteristic Meshchera species. Nesting grounds of the crane, whaup are to be found.